Lazy summer afternoons are a lot more relaxing in the Collingwood resin wicker sofa. The classic lines and rich color give this sofa a contemporary charm that works in a historic home or a modern-day veranda or patio. The Collingwood patio ottoman is crafted with all-weather resin wicker woven on a rust-proof aluminum frame and features a comfy cushion. 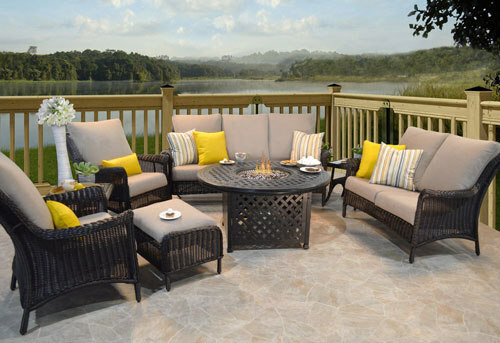 Find the time to unwind with the timeless look and comfort of the Collingwood Patio Collection!